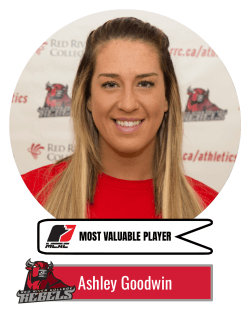 Today, RRC volleyball players Ashley Goodwin and Josh Goosen were named MCAC MVP’s in their respective leagues. 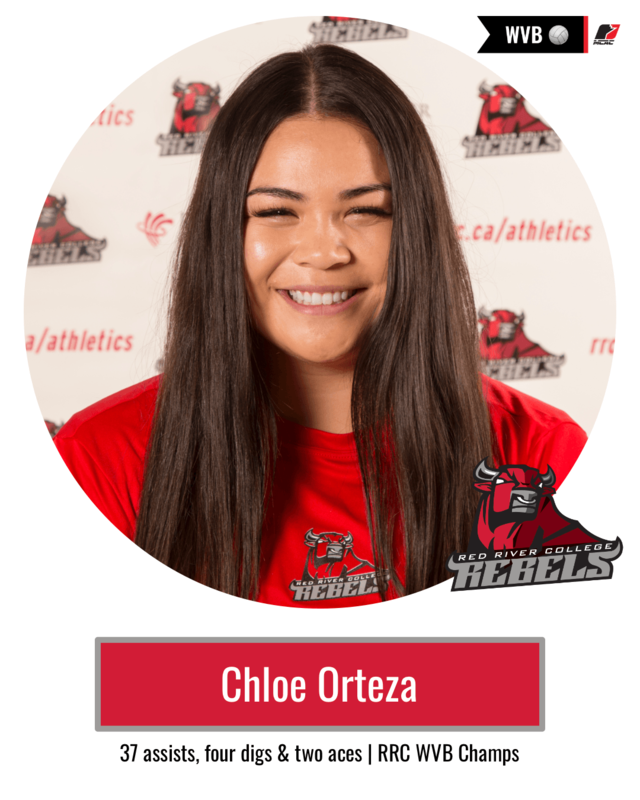 Goodwin, a second year left side hitter from Winnipeg (Miles Mac Collegiate), had another excellent season with the Rebels leading the team in kills (139), aces (44), blocks (82) and digs (172). At 6’2″ Goodwin was a huge presence at the net and true leader on the court. She was named MCAC co-mvp along with CMU Blazer Jana Klassen. This is the second year in a row Goodwin has been recognized by the MCAC, last year being named All-Conference. The outdoor power equipment tech. 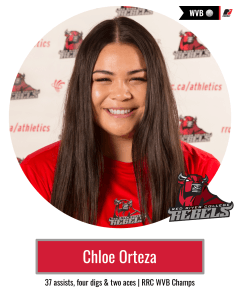 student hopes to lead the Rebels to a MCAC championships this weekend at Providence University College, first with a semi final win over the USB Rouges, Saturday February 23rd at 11am. 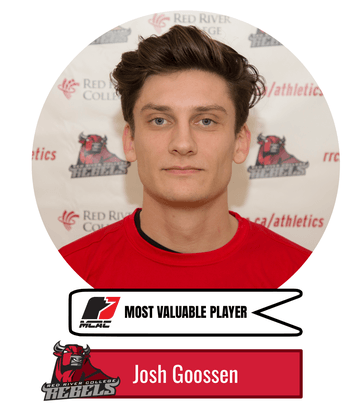 Josh Goosen, the 6’4″ outside hitter from MBCI was named the MCAC Men’s most volleyball player of the year. Goosen, a second year creative communications student was the most dominant offensive player in the league this season, leading with a whopping 293 kills. The UofM Bisons transfer was named MCAC athlete of the week in early February after connecting on 56 kills with a .384 hitting efficiency in back-to-back 3-0 sweeps over the ACC Cougars. Goosen will be graduating from Cre-Com this year after two spectacular seasons with the Rebels including an all-conference award, player of the week award, league MVP and a playoff appearance. 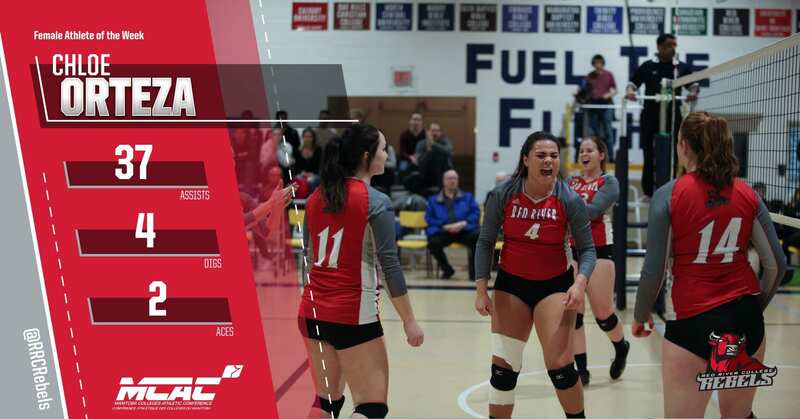 For a full listing of MCAC volleyball award winners, please click here.